The slugs ate my first three basil plants in record time. I've set out another dozen, and am amusing myself in the meantime by making alternative pestos. They're great because a) they use up lots of whatever herbs need pruning and b) I end up with intensely flavored goodness that I can toss into whatever I'm cooking. 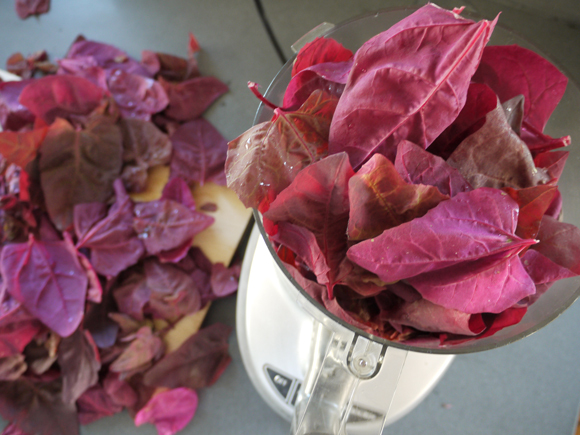 This week, I had an excess of Red Orach (a.k.a. Hillbilly Spinach). Its flavor isn't as intense or distinct as the herb-heavy pestos I made last week, but it made a nice base for the usuals -- garlic, parmesan, pine nuts, olive oil -- with a bright hit of meyer lemon (zest and juice). Of couse, the best part is that it's purple, and will turn your noodles magenta. 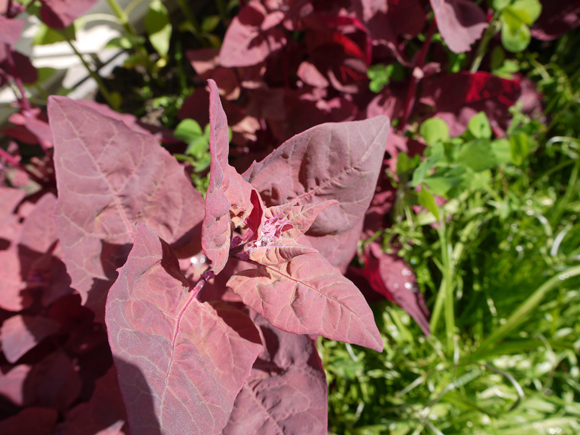 Red Orach, aka Hillbilly Spinach. I've found it to be a great garden producer -- I keep cutting, it keeps growing back. Pretty heat-tolerant, bug-resistant, and tasty raw or cooked (though it gets bitter once it goes to seed). Washed, stemmed, and stuffed into the Cuisinart. Started with about 1/2 the leaves, gave them a few pulses with the rest of the ingredients, then added the rest. 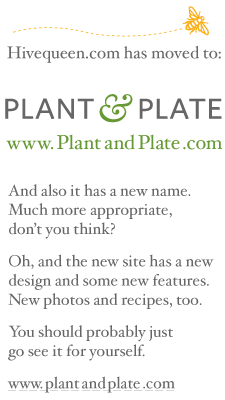 Labels: FAQ, food, garden, orach, What's that plant?